Zulaikha hopes. She hopes for peace, now that the Taliban have been driven from Afghanistan; a goodrelationship with her difficult stepmother; and one day even to go to school, or to have her cleft palate fixed. In the meantime, with the support of her father and sister, Zulaikha knows all will be provided for her-"Inshallah," God willing.Then she meets Meena, who offers to teach her Afghan poetry, and the Americans come to their village, promising not just new opportunities and dangers, but surgery to fix her face. These changes could mean a whole new life for Zulaikha-but can she dare to hope they'll come true?Inspired by a girl whom the author met in Afghanistan, this is not only a fascinating portrait of life in a country we Americans hear about, yet rarely see from inside, but a wonderful middle-grade story of choices, changes, chances, and discoveries. 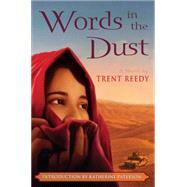 Trent Reedy&lt;br&gt;Trent Reedy served in the National Guard and was deployed to Afghanistan in 2004, where true events and characters inspired this novel. During the course of his time overseas, he began a correspondence and eventual friendship with Katherine Paterson, at whose urging Trent enrolled at Vermont College of Fine Arts, from which he received his M.F.A. in Writing for Children. He currently teaches high school English in Iowa. Meena sighed. "Ah, Zulaikha, the beautiful princess. How you've grown." "I'm only a girl." I covered my mouth with my filthy chador. "I'm not beautiful." "Only a girl?" She reached toward me and gently pulled the shawl away from my face. "Nonsense. There's nothing 'only' about being a girl. You must give yourself time. 'Every triumph from patience springs, the happy herald of better things.'" I had always thought those words were something my mother had shared only with me. How could Meena know them? "That's what my mother used to say." "Yes." She smiled. "I know. It comes from Yusuf and Zulaikha. Your mother adored the poet Jami. And you. So you will forgive me, Zulaikha-jan, if I cannot accept that you are, as you say, 'only a girl.'"